Allegedly a science project that expanded into a budding corporate entity dedicated to arc-based weapon designs, Reaper Industries is best known for the endless series of conspiracy theories they have become the subject of. Whatever the truth behind their production facilities, all of which are located in remote sectors well beyond Church jurisdiction, they have produced a number of high quality weapons platforms – few of which are available on the open market. 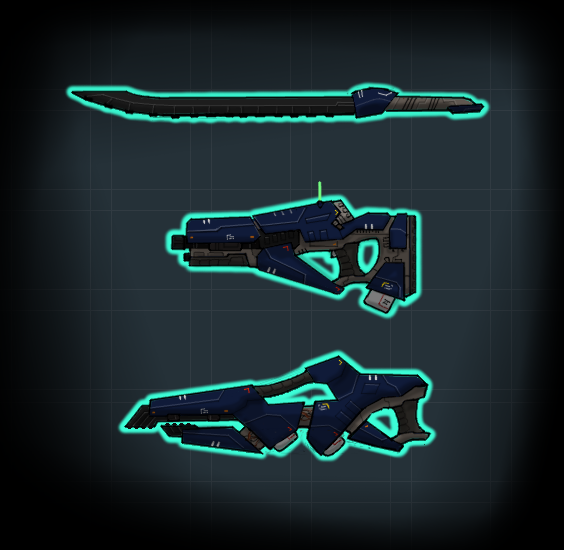 Due to the scarcity of these weapons, which are sold only by select retailers and cannot be legally assembled by individual machine shops as Reaper Industries does not issue manufacturing keys, many of these weapons are believed to be prototypes or proofs of concept by prominent arms dealers. It is however rumored that agents of the Cybercult managed to acquire – and assemble – several of these devices from pirated blueprints and legally generated manufacturing keys. If this is true has not been proven beyond doubt by Constabulary investigators, but several Reaper designs are known to have been used in recent in corporate intrusions, specifically by Cyberteams rumored to have been assembled by agents of the Cybercult.